As regular readers of this blog will know, one of my frequent daily dog walks is around the local derelict fort. It probably won’t come to anyone’s surprise that the area often attracts a lot of teenagers, particularly on summer evenings and at weekends. They’re mostly harmless, and I can’t say that I’ve ever had a problem or witnessed one beyond some littering and graffiti. The graffiti is the usual sort of thing – tags, initials, you know what I mean. 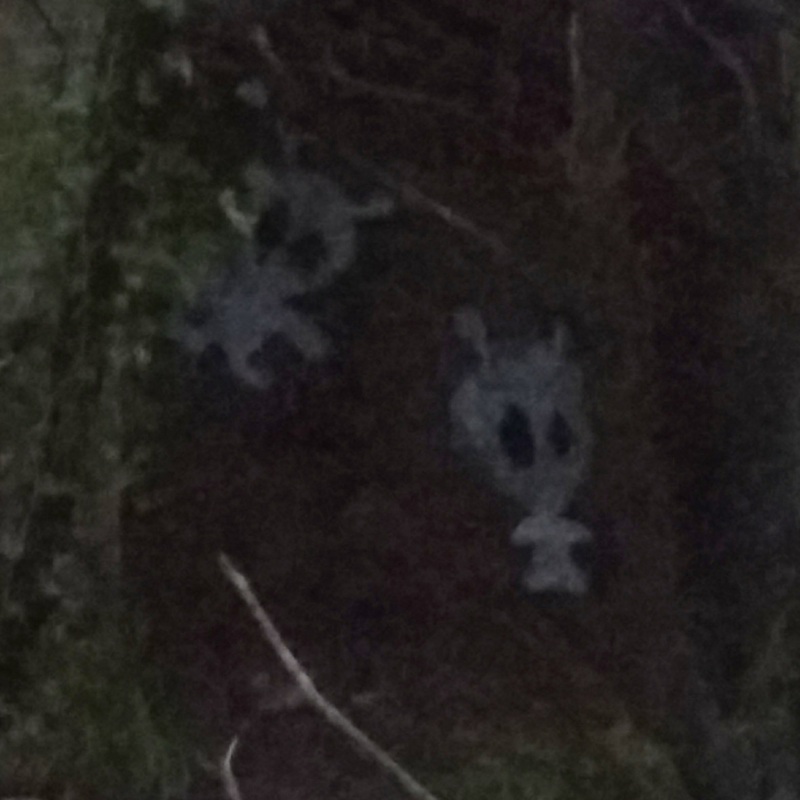 Recently though the alien ghosties pictured above have been appearing. I think they’re quite amusing, and they seem to setting a trail (but I won’t be following it). They’re placement is quite apt in the archways of the fort and is the kind of place you might expect to come across a ghost, although really it’s more likely to be a 19th Century soldier or a WWII anti-aircraft gunner, than a white sheet with antennae. This entry was posted in walking and tagged aliens, dog walk, dog walking, Fort Fareham, ghosts, graffiti. Bookmark the permalink.